Late afternoon midweek visit to Clock Tower provided nice views of both male and female. They were seen both perched and in flight in stunning late afternoon light. 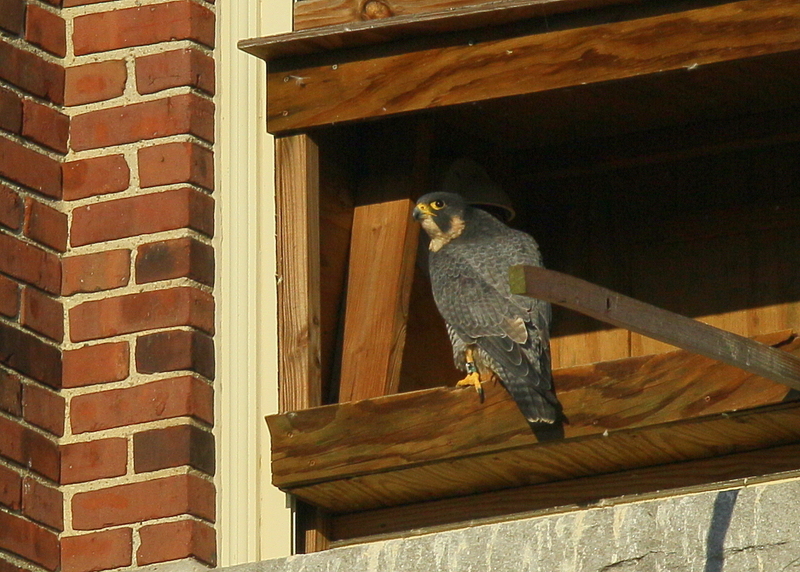 The female will frequently visit the nest box in the off season. In this perch moment, she is turned in just the right way to expose her left ankle. This provides confirmation of her black/green V/5 leg bands and helps us to know that she remains healthy and well. What a delight to be able to observe these urban dwellers most days this time of year and to see them in a variety of perch locations. 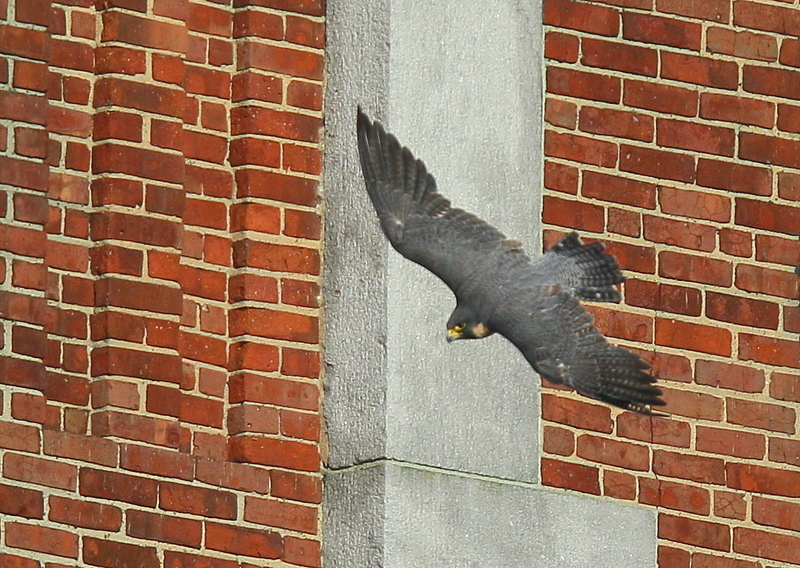 The Peregrines were both seen this morning in looping flight around the Clock Tower. It was three years ago this week that they first came to my attention! They have been a source of fascination and close observation ever since. 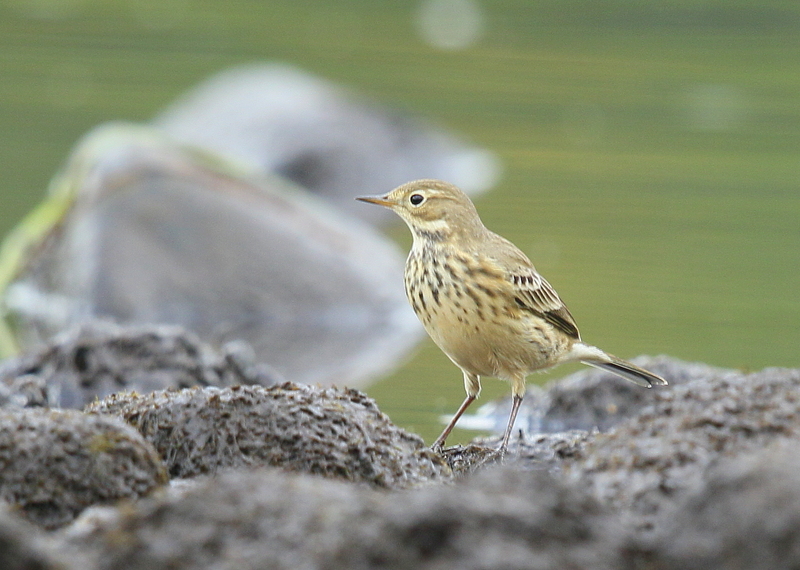 This time of year, they seem to have returned from their summer forays, perhaps at Plum Island. They are seen from here on in with great regularity. 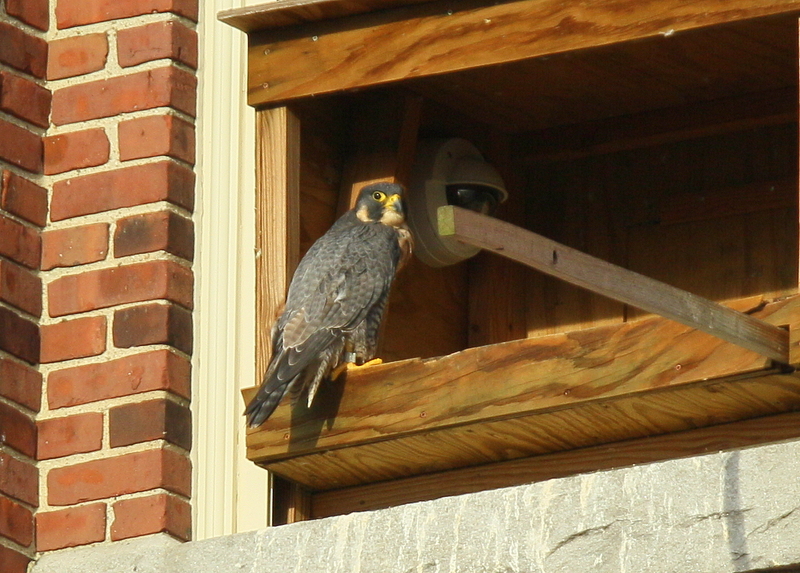 The Peregrine Falcons have been seen with regularity over the past few days. 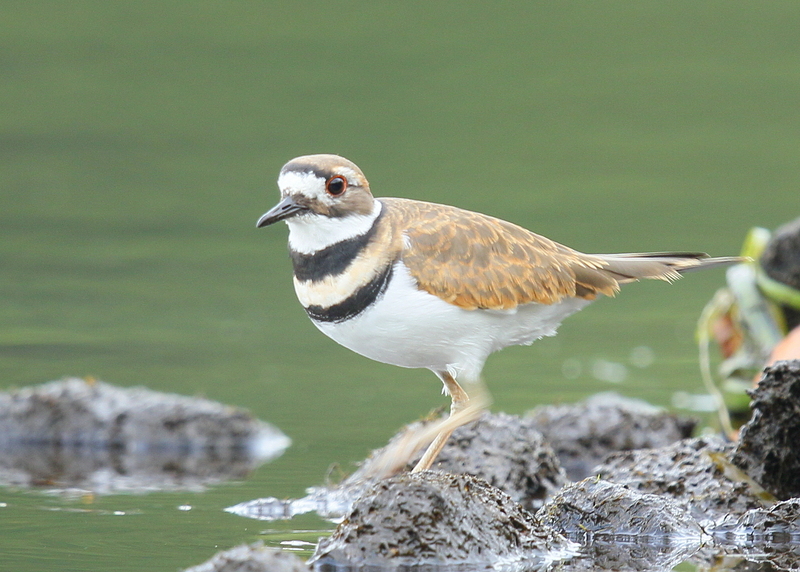 The adult pair were only seen a few times on the Clock Tower during the month of August. Almost every sighting was just a solo sighting and never of the pair. However, in the last few days, the pair have returned from summer camp on Plum Island and are perching in many of their normal perch locations. They are also fully engaged in reminding neighbors and visitors about their territory around the Clock Tower! This image shows the male perched on the outside edge of the nest box.